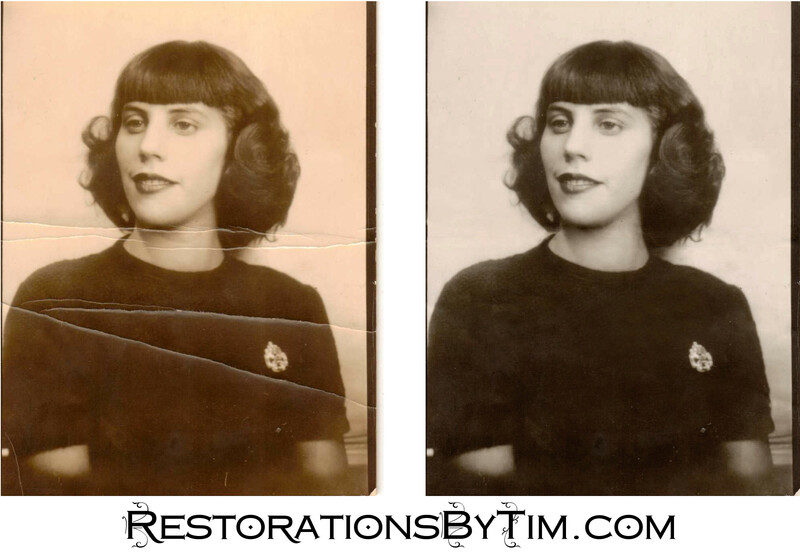 Light Restoration: Creases | Photo Restorations by Tim G.
Although I’ve taken a year-long hiatus from promoting this site, I am still here and available for your photo restoration needs. I did this one yesterday. It wasn’t complicated because the creases missed all of the vital parts of the picture. Compare to this job from last year, in which the crease went right across the gentleman’s face. The gentleman’s photo was trickier because I had to be careful around his nose and ears. Although this woman’s picture had more creases, they were generally easier to repair. I spent about a half-hour on it.